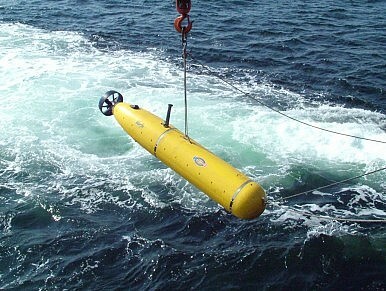 The U.S. Navy's Battlespace Preparation Autonomous Underwater Vehicle (BPAUV). Pentagon officials think that Moscow’s newest weapon could obliterate entire coastal cities. The possible yield of the warhead, in the megaton class, clearly is an attempt to inflict catastrophic damage against U.S. or European naval facilities or coastal cities. Nations vote with their resources, and the Kanyon, along with an expanding number of other military modernization programs, indicates the priority Vladimir Putin places on military preparedness against the West. The Russian UUV, given its probable small size, would be launched from a mother ship. However, without a working prototype this is not likely to happen anytime soon. It was only back in July that the U.S. Navy launched and recovered an underwater drone from a Virginia-class nuclear-powered fast attack for the first time. UUV technology is not maturing as quickly as UAVs, primarily because, for one thing, it is a lot more difficult to communicate with UUVs than aerial drones – oceans are opaque to radio signals and acoustic signals travel a lot slower than radio waves. Consequently, UUVs have to be almost completely autonomous, which poses various technical challenges. As a result, the U.S. Navy has decided to rely on commercially available UUVs for the time being. The Pentagon is presently testing and developing a number of different underwater drones and has made available a “significant” amount of money for the expansion of its UUV fleet. Given Russia’s dwindling financial resources it remains to be seen how Putin’s newest weapon program will mature, and whether it can overcome some of the technical obstacles associated with the development of UUVs faster than the U.S. Navy. The US Navy is making slow but steady progress in expanding its undersea warfare capabilities.